If you could take your show anywhere, without worrying about connectivity, where would you go? The world is an amazing place, with countless unique settings for a memorable event, brand activation or photo shoot. Imagine your event at that cool vineyard, that stunning beach, that iconic desert – so many juicy opportunities to impress. But with so much riding on connectivity and budgets, it can be tempting to play it safe when you’re choosing a place for your production. We understand that you only get one shot at events, and the prospect of a critical production failure or epic bill shock is enough to keep any event professional awake at night. That’s where our managed WiFi for hire service comes into play. 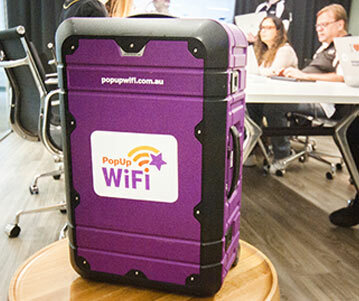 PopUp WiFi has provided WiFi to hundreds of events and festivals across Australia and the US since 2014. From packed Country Music festivals in the Outback of Australia, exclusive VIP parties at Coachella, and live streaming sporting events in downtown LA, we’ve delivered the goods at a price that makes sense. Production professionals trust us because they know that our future depends on excellent internet service, just as much as yours does. With a range of supported solutions from plug ’n’ play 4G solutions to full service satellite, we’ll make sure that your show will go on. 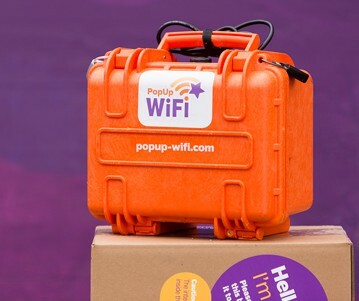 Our clients choose PopUp WiFi for critical functions like site offices, RFID systems, live streaming, VIP WiFi access, hospitality and media tents, ticketing machines, transport WiFi, ATMs and POS systems. Our security standards meet all major global standards and our team of excellent network engineers manage your networks live, so you can pull off production without a hitch. The Vestal Village production team set up shop in the Coachella Valley, with stunning results. Since 2009, Vestal Watches has hosted an invitation-only VIP party near the Coachella Festival called Vestal Village. Guests visit the festival and camp and party at the Vestal Village for a long weekend. 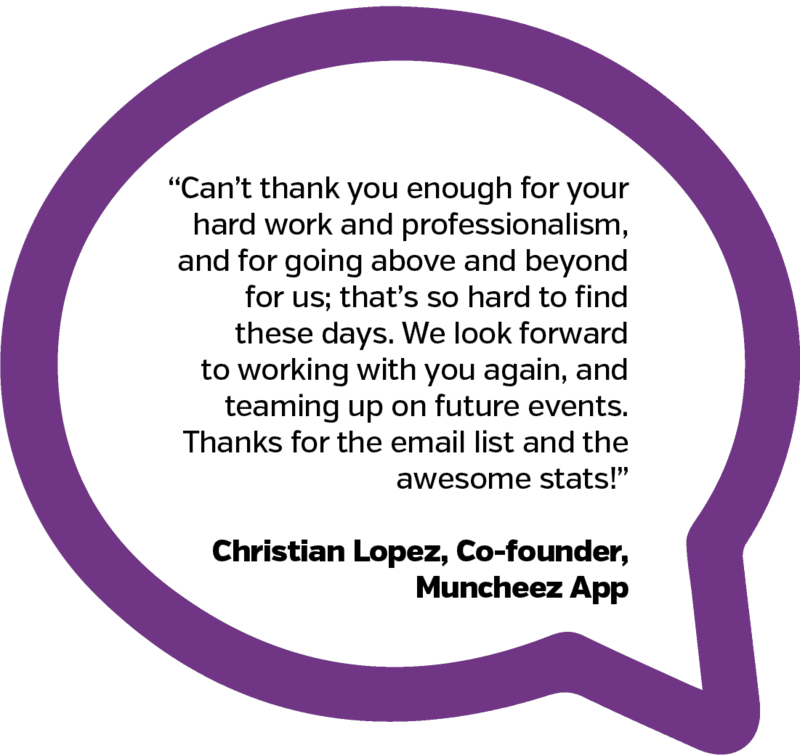 This year they teamed up with Muncheez App to produce a party to remember. The guest list was composed of Instagram influencers from fashion, sport, beauty and thought leadership. The event featured an interactive app launch, several brand activations, food trucks, a marketplace with vendors, bands and djs and silent disco. The production office was set up in an Airstream onsite, for media and PR functions. Each element relied heavily on internet for success, after all, an Instagram Influencer party is nothing without uploads! The risks of failure were twofold. Firstly, the venue is in a remote area with limited infrastructure. Secondly, there was a strong chance that the LTE/4G networks in the area would be overloaded by the 126,000 people at the festival site, close by, at just over one mile away. 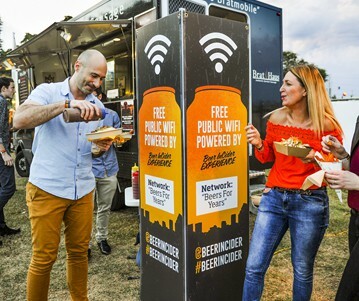 Our techs created a custom network, with a combination of PopUp WiFi Express HD units to provide production and vendor WIFi access, and a PopUp WiFi Tower for the Muncheez App activation, with public access and email data capture. 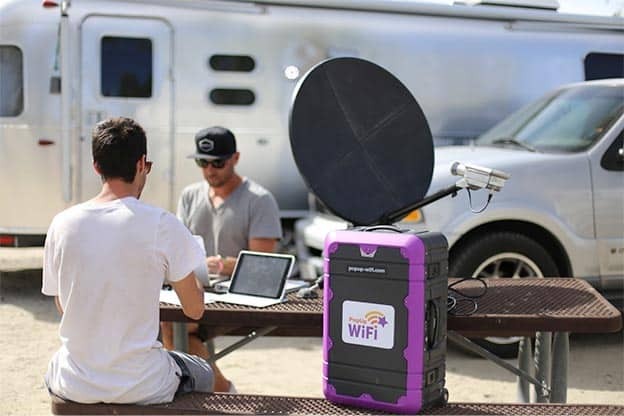 We teamed up with our mates at Satellite Phone Store to provide a satellite link as a backup, to ensure a stable connection in case the 4G networks needed bolstering during peak times at Coachella. Onsite set up took our team under 3 hours. The result was rock-solid performance, with zero dropouts over 5 days. Feedback from guests, vendors, the AV provider and client was exceptional.